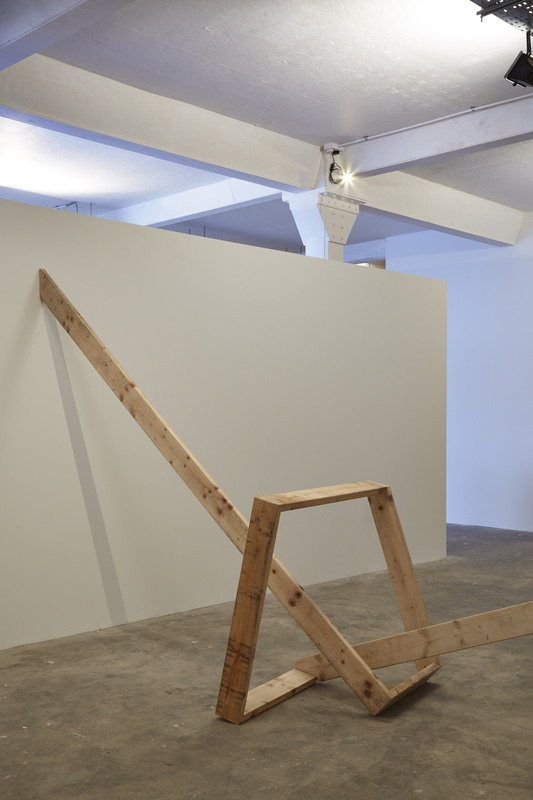 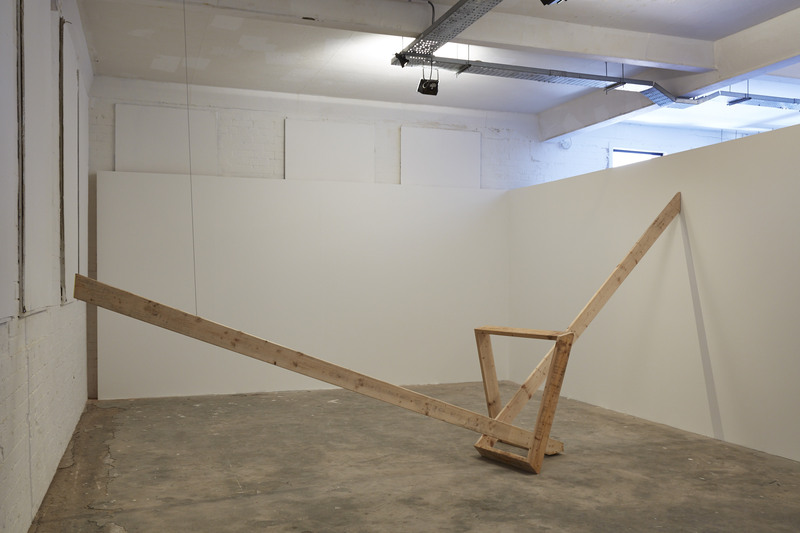 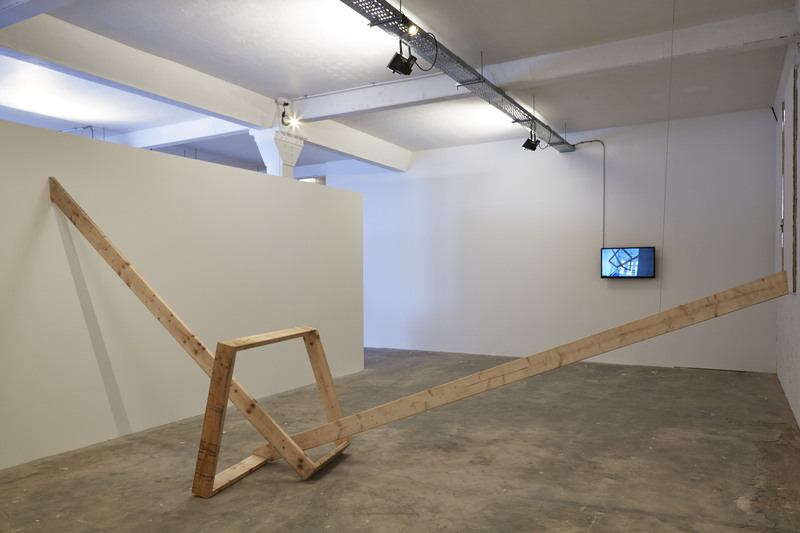 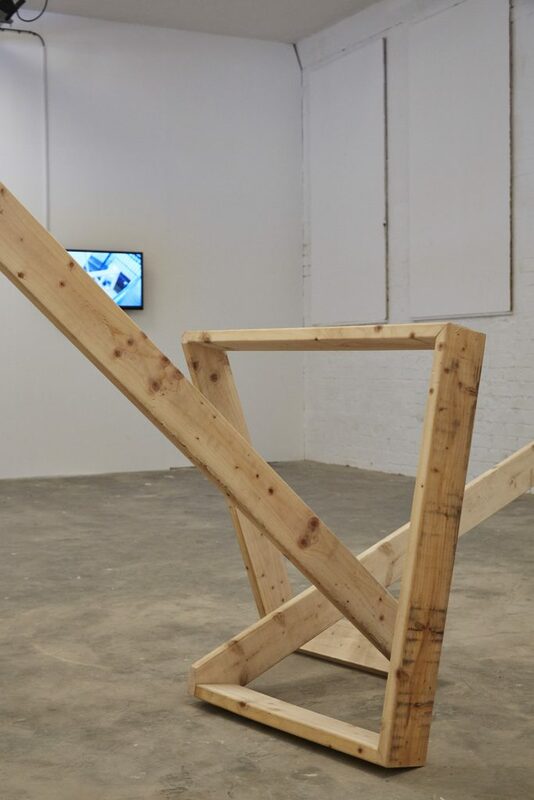 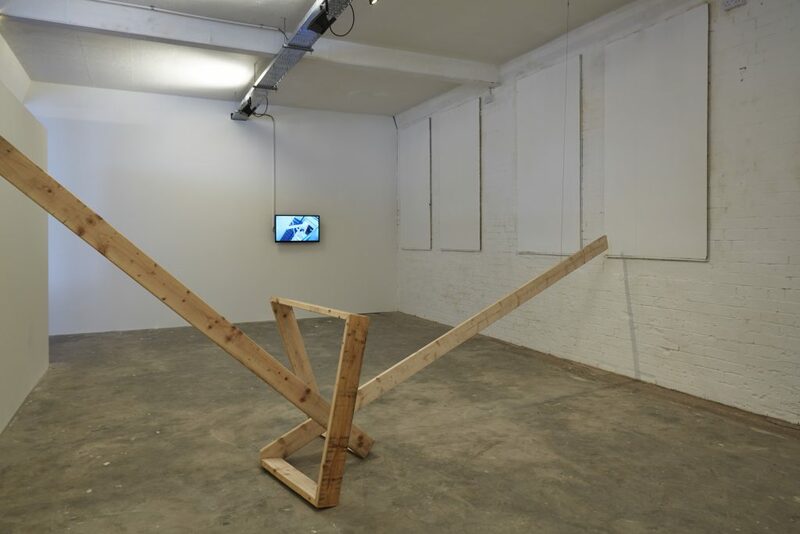 Brónach McGuinness’ installation pieces come from an interest in the meaning of aesthetics, and a concern for maintaining the void within an artwork. 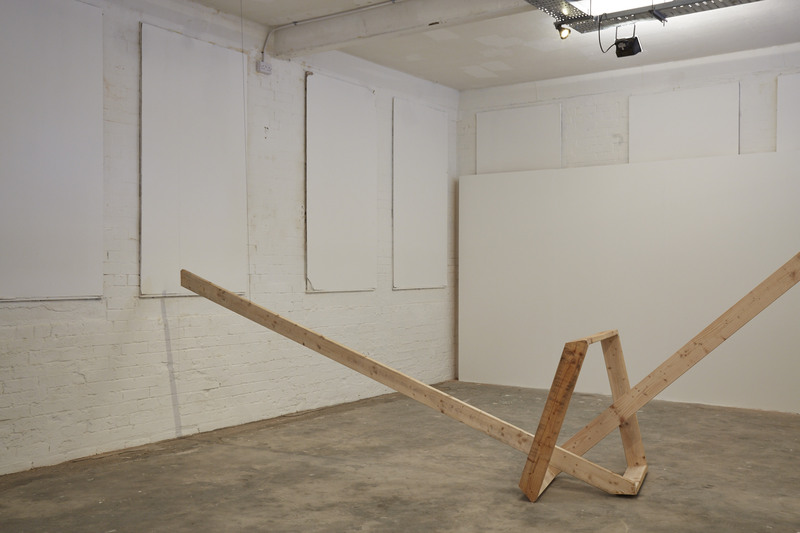 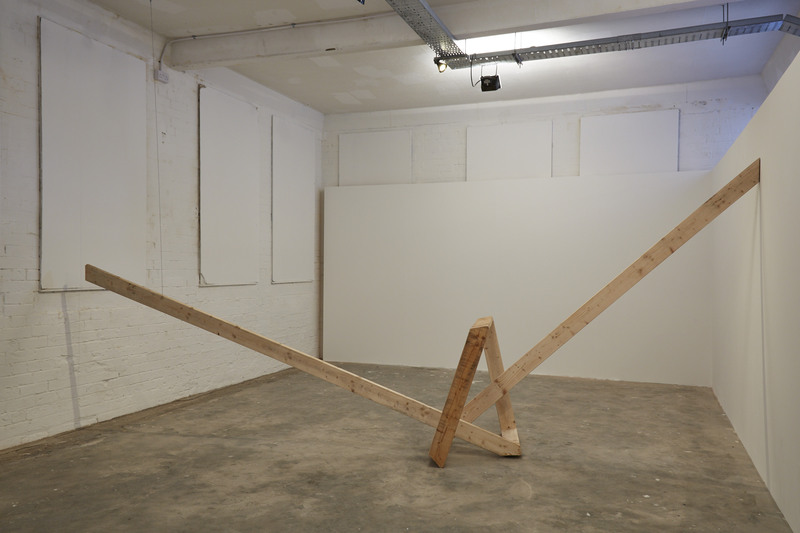 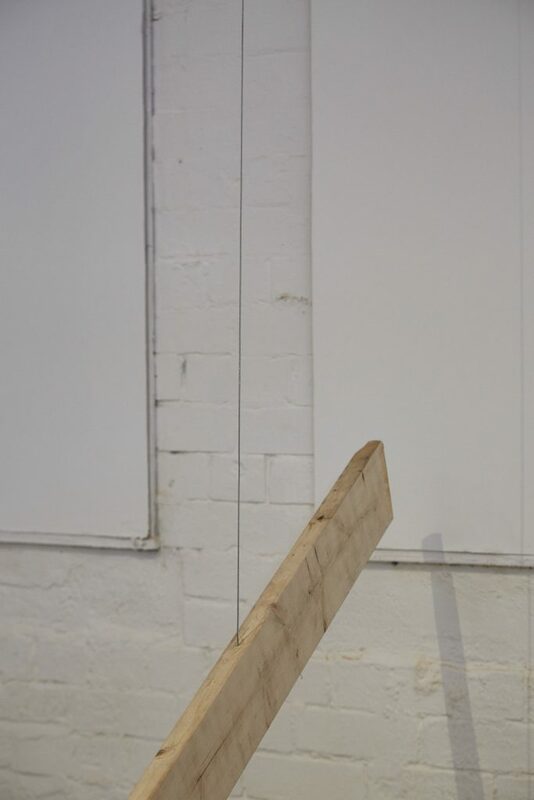 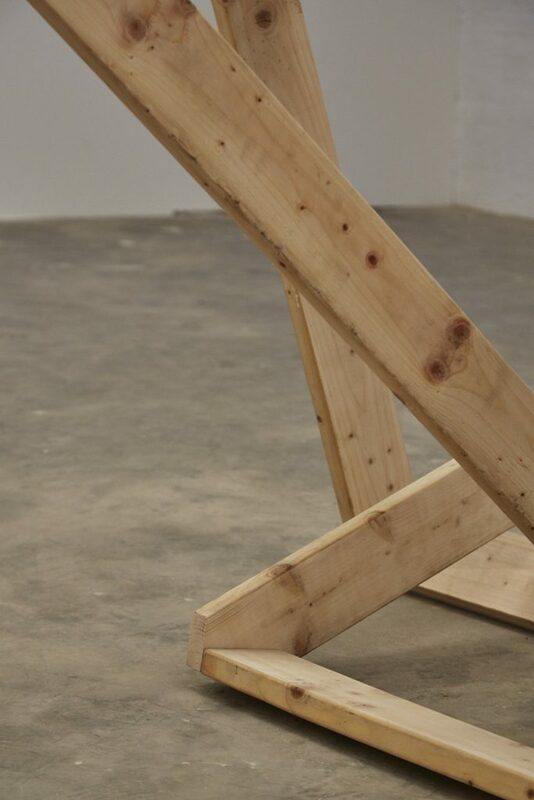 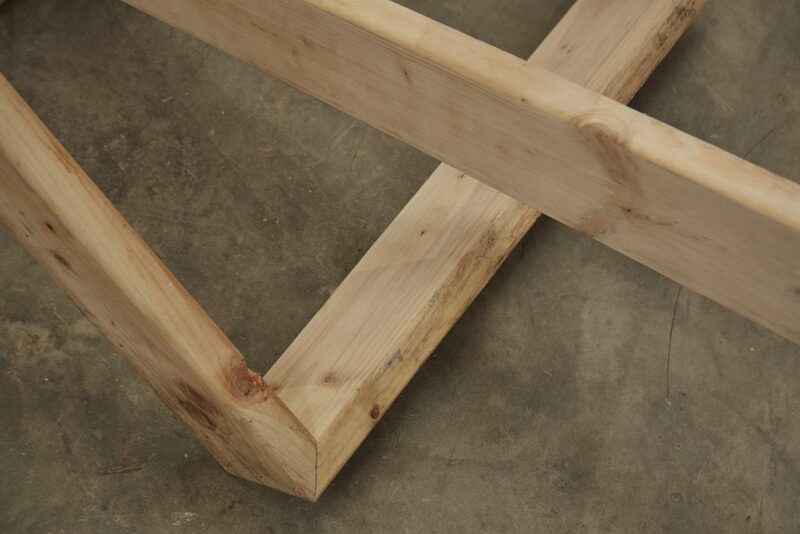 Her work, the result of her six month residency at Platform Arts, develops on from assemblage pieces and slight structural interventions to create an artwork that is at the same time both elegant and obtrusive. 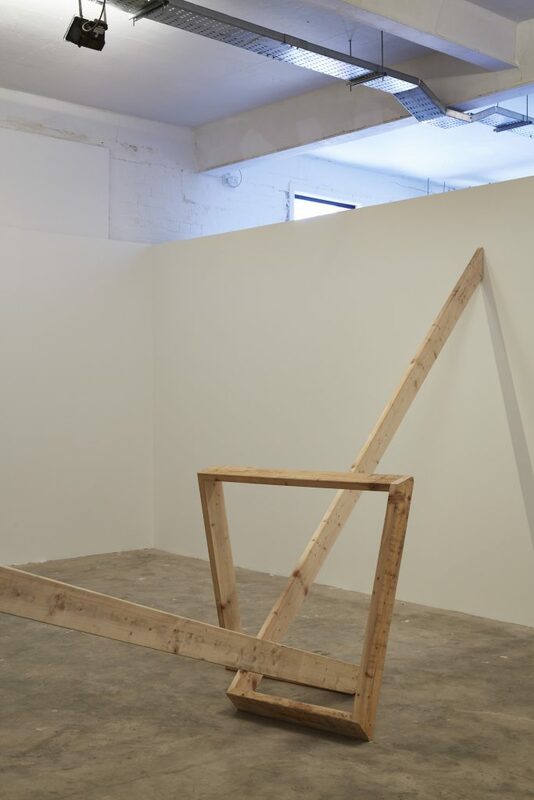 Her work focuses on the detailed making of a structure with the view to creating objects that are subtle not only in their placement within a space, but also through their construction. 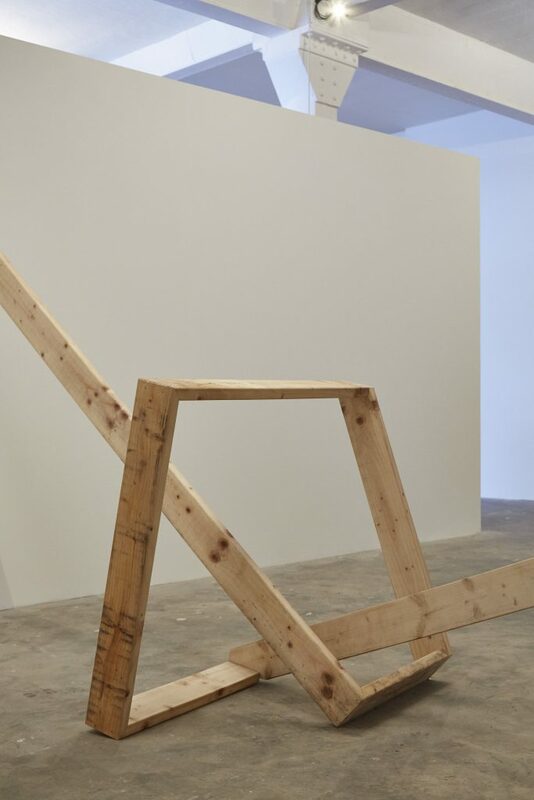 In her choice of materials McGuinness’ current work takes a simple, fluid knot, or tie, and recreates it in the more rigid and unmalleable material of wood, thus making it seemingly more enigmatic. The repetition of the structure reiterates the artist’s concern with situation and sets up a dialogue between the original building and the newly constructed resource space.